“Let justice reign!” reads the banner hanging over the compound of the court house in Shali, Chechnya. 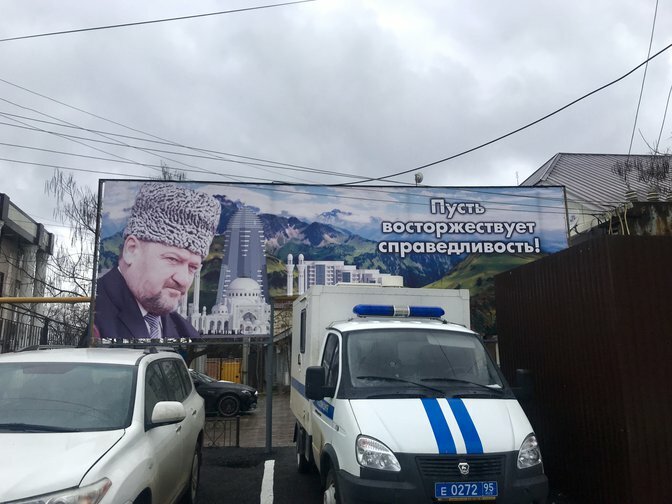 The slogan is accompanied by a strict-looking Akhmat Kadyrov, the North Caucasus republic’s former leader.. Next to the courthouse, there’s a new business centre (“Shali-City”) and a mosque named in honour of Akhmat Kadyrov’s son, Ramzan. A police jeep leaves the compound. 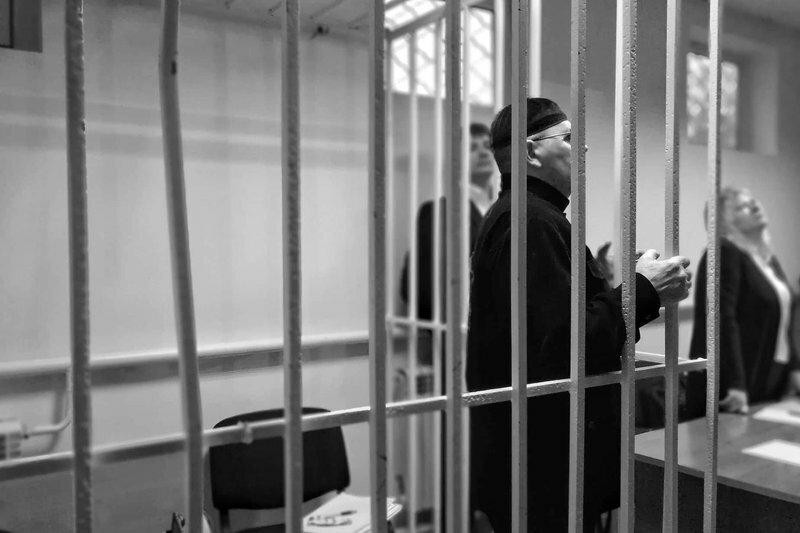 Oyub Titiyev, the director of the Grozny branch of the Memorial human rights association, has just been placed in it after receiving a four year prison sentence on narcotics charges. This sentence was less than what the prosecutors requested - four years of strict regime prison plus a 100,000 rouble (£1,160) fine. Oyub’s older brother Yakub was ready for this sentence. Last summer he’d received hints that if Oyub apologised to the right people, then the Memorial director could have been “forgiven” - in the form of a lighter sentence and a quiet life for his family. But Titiyev’s relatives did not even consider it as an option. “He’s got nothing to be sorry for, let the guilty ones apologise,” Yakub tells me. Oyub’s sisters, Dzharadat and Khava, remain stoic, their eyes free of tears. Dzharadat and Khava are holding up for Oyub’s sake: he is concerned about them and should see that they are doing fine. This court, Dzharadat and Khava tell me, does not deserve their sorrow. 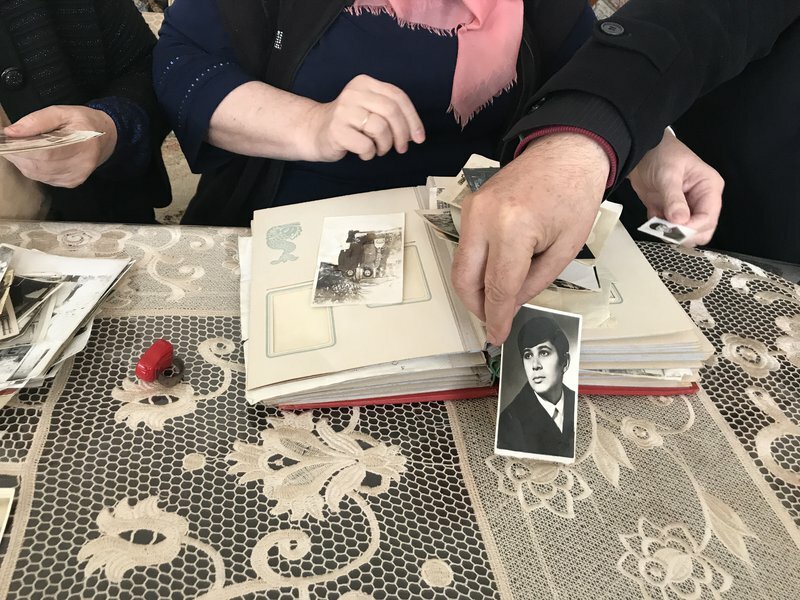 For Chechens, family ties are often a huge responsibility, and one that is lightened only after death. Oyub Titiyev is not only a human rights defender - he’s also a father, husband and brother. And this is one of the reasons that Titiyev decided not to appeal against his sentence. 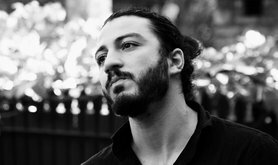 A photograph of Oyub Titiyev as a young man | (c) Ekaterina Neroznikova. All rights reserved. Before his arrest in early January 2018, Oyub Titiyev lived right in the centre of the village of Kurchaloy. Over the road from his house is the sports centre where he used to train everyday. The drive to Grozny, the capital of Chechnya, from Kurchaloy is considered normal (50 kilometres), but Oyub never wanted to move closer to work. Soon after his arrest, Titiyev’s house was demolished to make way for a modern housing complex in the centre of the village. High-rise buildings, pedestrian zones, shops - at “Kurchaloy-City”, everything was to be done quickly and to a high standard. In 2019, the village of Kurchaloy officially became a town. 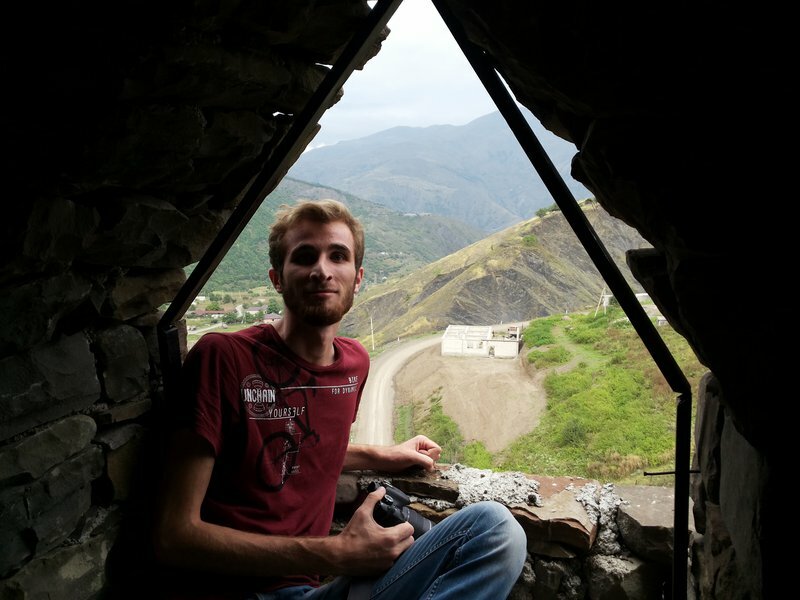 Oyub was given a new house as compensation - it’s in Kurchaloy, but on the edge of the village, where the road from the neighbouring village of Geldagan comes in. The new property has 150 square metres, three bedrooms, a large living room, kitchen and bathroom. It’s not a bad place. Plastic bags filled with Oyub’s things have been left in the bedrooms, as well as furniture from the old house. Titiyev does not like throwing things away - he even has an old Soviet pushchair, the kind you can only find in a museum today. His family transported everything to the new house for him. Oyub has never seen this house. No one has lived in it. Even the front door is a temporary plastic one. While Oyub remains in prison, there’s no one - and no reason - to change it. Oyub Titiyev (centre), Pyotr Zaikin and Marina Dubrovina | (c) Ekaterina Neroznikova. All rights reserved. Given who was being convicted and for what, you could call Oyub Titiyev’s four-year sentence “light”. But Titiyev has a different opinion. “Oyub sees the situation clearly: for him, any kind of guilty verdict can’t be considered light. He has nothing to do with the charges against him,” says Marina Dubrovina, his lawyer. For people who know Tityev, the charge that the 61-year-old was found in possession of 200 grammes of marijuana looks absurd. A keen athlete and observant Muslim, Oyub Titiyev has never smoked nor drank in his life. But in “Chechen realities”, a narcotics charge was all too predictable. 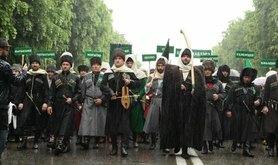 After Ramzan Kadyrov, the head of the republic, informed law enforcement that “drug addiction and terrorism are evils of the same force” at a special session in 2016, demanding that “those people who break the law in the Chechen Republic should be shot to hell”, the North Caucasus republic witnessed an active anti-drug campaign. In August 2017, a new unit was created to lead the fight against drugs in Chechnya, and people were rounded up in groups on drug possession charges. These trials were often held according to “special procedures”, a legal provision whereby defendants admit their guilt in advance, and courts do not examine the evidence against them. By the end of 2017, Chechnya was a “leading region” in terms of the number of drug-related offences. According to Marina Dubrovina, Articles 208 and 222 (participation in an illegal armed group; weapon possession) of the Russian Criminal Code, as well as Article 228.2 (the drug possession charge that Titiyev was convicted on), are the most frequently used in the republic. Indeed, drug possession charges are often used against individuals the Chechen authorities don’t like. In 2014, Ruslan Kutayev, head of the Assembly of the Peoples of the Caucasus, was arrested after police officers “found” enough heroin for a 228.2 charge (possession in a significant amount). Kutayev had previously criticised the authorities for ignoring an important date for Chechens - 23 February, the date used to mark the start of Soviet deportation operations in 1944. In 2016, journalist Zhalaudi Geriyev was detained on narcotics charges - he was “found” with a bag of marijuana slightly smaller than that “found” on Titiyev. Geriyev is due to be released from prison soon - his sentence ends on 1 May. 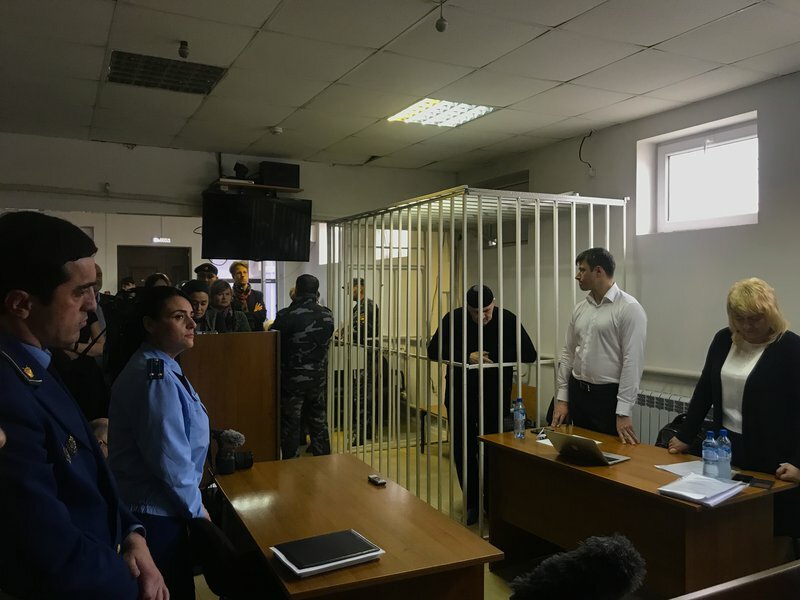 Kutayev was released at the end of 2017, and he came to support Titiyev at the sentencing hearing. “You’ll spend a little time there and then you’ll be home,” Kutayev said to Titiyev through the bars. The Memorial human rights association began working in Chechnya in 1994. 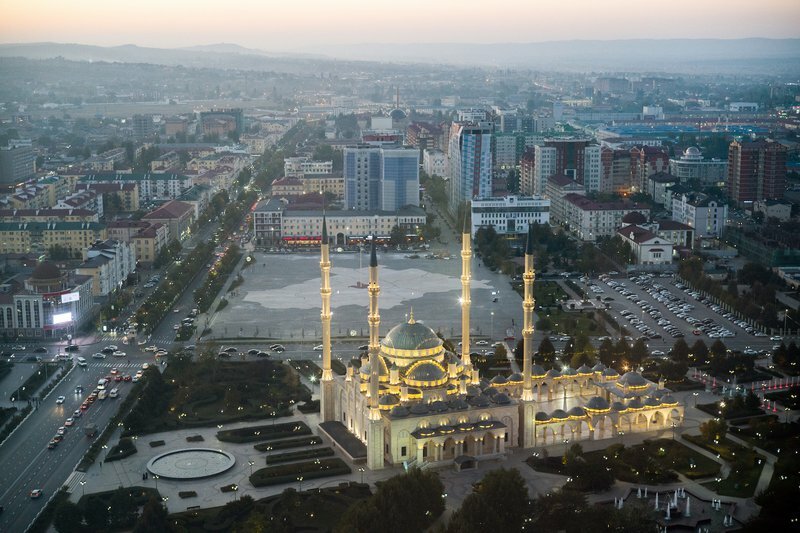 In 2006, it had four active offices in the republic - by 2014, it had only one left, in Grozny. For a long time Memorial’s office was located in the Bar House, a merchant house built in 1923 by a British oil company, and which today is close to the office of Chechnya’s human rights ombudsperson. But several years ago, Memorial’s lease on the office was not extended, and they had to move. Today it’s quite hard to find the office, and Grozny Memorial is now located in a three-room apartment of a five-storey apartment building. A smiling and pregnant woman opens the iron door that used to lead to the office of the last independent human rights defenders in Chechnya. She is holding a baby boy, and another boy circles around her legs. She knows the apartment used to be an office, but she doesn’t know what happened to the people who worked there - and with her kids, washing drying on the balcony and house chores, she doesn’t have much time for ancient history. Titiyev’s legal counsel disputed that these “cigarettes” belonged to their client. 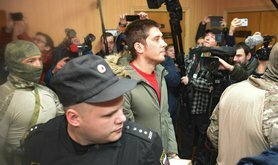 Zaikin was surprised that the police didn’t find pages from Titiyev’s passport found instead, given the level of preparation that went into the “evidence” against him. Zaikin is convinced that this evidence appeared in the case in order to further discredit Titiyev. 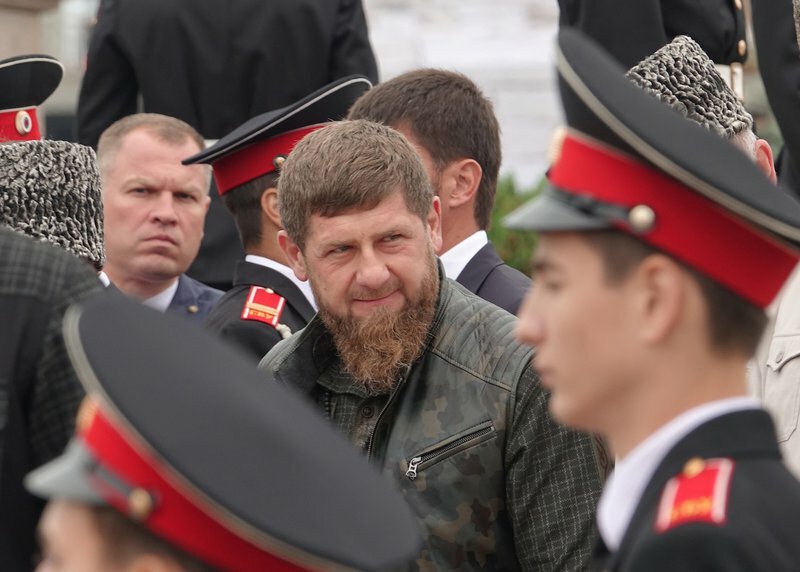 Titiyev’s conviction is a signal both to the Chechen rights defender and his colleagues, Oleg Orlov, who runs Memorial’s North Caucasus programme, tells me. Indeed, Titiyev has decided not to appeal against the Shali court ruling, though he emphasises that he hadn’t changed his position. “I’ve never admitted my guilt, I don’t admit it now, and I won’t admit it in the future, not under any circumstances,” said Titiyev on 1 April. 18 March: Oyub stands behind bars in the small Shali courthouse. He’s wearing a dark blue suit - it was made to order, a present from his family. He’s wearing a dark blue tyubeteika hat, too. He frowns and put his glasses on. As he reads out his last address to the court, he keeps his back straight - Titiyev has great posture for his age. There’s silence in the courtroom. Oyub has never spoken for this long - nearly 40 minutes - and he won’t get the chance to do so again. In a week, he’ll receive his sentence, after which he’ll say a few words to the journalists present and then be removed from the courthouse. This article was produced in partnership with OC-Media.